True Words of freedom : Are Designer Babies the next 'bazaar commodity'? Are Designer Babies the next 'bazaar commodity'? Eugenics is steppingstone to Genetically Modified babies which is the future of consumer based eugenics. But this raises serious concerns over shaky moral platform that promise genetic modifications to ameliorate. How is it better than the theories of Negative or Positive eugenics and its basic science 'Euthenics'? As a first, last week Britain granted its first official research license to genetically modify human embryos to a pilot project that aims to give hope to women struggling to conceive. This eccentric decision makes Britain one of the first countries in the world to grant such authorizations. 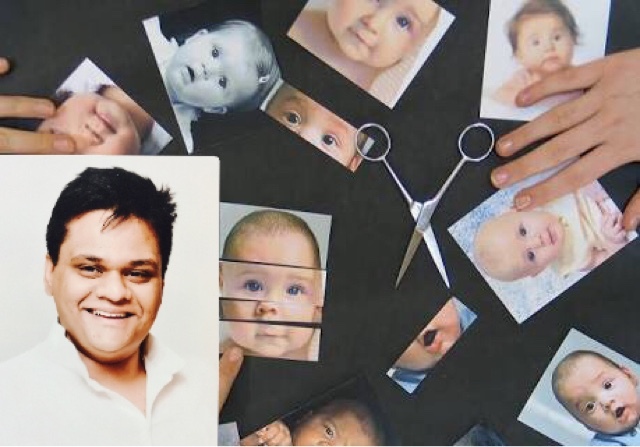 Which is raising eyebrows all over the world for ethical concerns about "designer babies". A designer baby is a result of genetic screening or genetic modification. Embryos may be screened prior to implantation, or possible use of gene therapy techniques in order to create desired traits in a child. Basically it has something to do with adulteration in genetic makeup of an unborn baby. Researchers explained that modified embryos have to be destroyed within 14 days and will not be implanted in a woman they will only examine embryos in their first few days. Such research is important for understanding how a healthy human embryo develops and it will certainly enhance our understanding of IVF success rates. The embryos that will be used are donated spares that are recovered while preparing a female for In-vitro fertilization (IVF) treatment and don't need them once the procedure is completed. The scientists would use CRISPR-Cas9 technique which allows scientists to insert, remove or correct DNA. The technique could also be used to treat illnesses like sickle cell diseases, cystic fibrosis and some cancers. Are we entering Hitler's den again?? Ethnical concerns over genetic modification to be similar to Nazi or American Eugenics Movement is in the air. Disturbing the genetic makeup of an individual which is a work of nature will it prove a boon or a bane. This could create a class divide between designer and non designer babies. Moreover it is decision that is made by one generation for future a generation which has no vote to say that it would want a change or not in genetic makeup. It is disturbing to think of possible ways things can turn sour with the use of the technology to improve the DNA constitution. While it is certain that the prospect of gene editing in human embryos raises series of ethical issues and challenges but this problem needs to dealt with in a balanced manner under strict regulations and guidelines so that the company's don't make profit making strategies out of what could be of great help to the mankind.